We’re inundated with news of violence, trauma and drama. 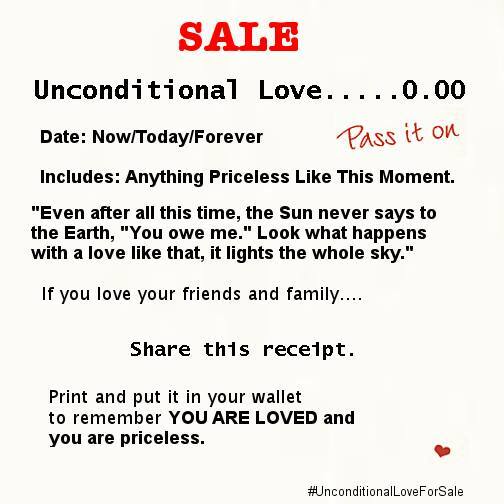 Yet we are also choosing so much kindness, nonviolence and the miraculous. This tribute shares 10 courageous and heart-warming choices people made in 2015. From kids to the elderly, homeless people and doctors, ordinary people like you and me are changing the world. 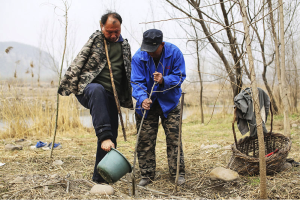 There are thousands of inspiring stories occurring around the world every day. Feel free to add your own favourite in the comments below. What will we choose to create as our reality in 2016? Peace of the Circle is grateful for our expanding international work with schools, police, prisons, organizations, families, collaborative divorce, and communities. You’re invited to our upcoming Peacemaking Circles training in Vancouver, Canada, February 20-21. 1. Muslim groups raised over $100,000 to rebuild Black churches that were burned down and to support victims of arson. The campaign called “Rebuild with Love” is a powerful united stand against hate. 2. 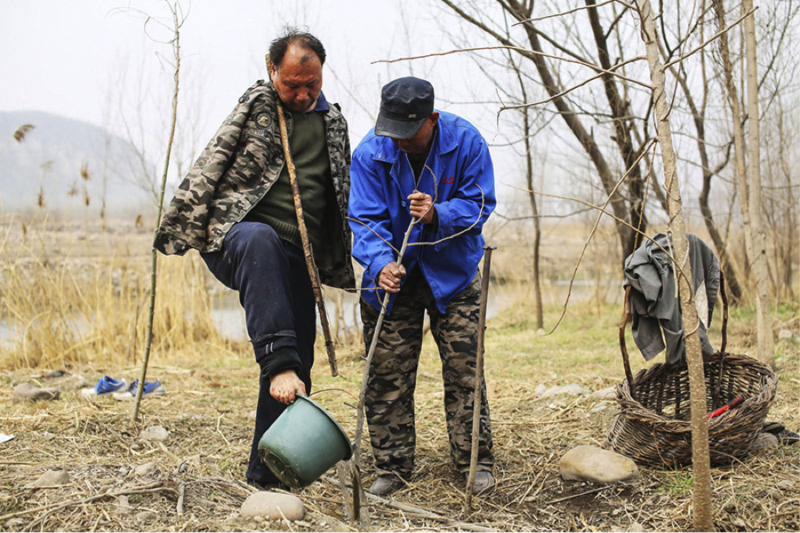 Jia Haixa, blind, and Jia Wenqi, a double amputee, work together to plant trees. “I am his hands. He is my eyes.” They have planted over 10,000 trees so far. 3. 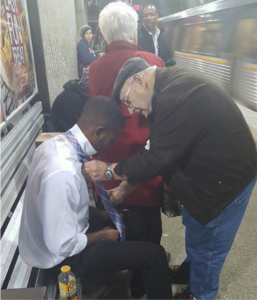 An older gentleman helps a young stranger struggling with his tie in a train station. 4. Dr. Jim Withers has practiced ‘Street Medicine‘ for over 20 years – bringing homeless people free, quality medical care. His one-man mission has led to a citywide program and beyond. 5. When James Willmert was bullied at school, five 5th grade boys made a pack and decided to have his back. 6. 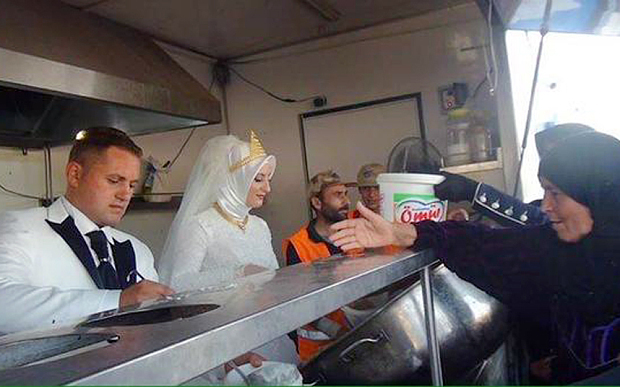 Bride and Groom, Esra Polat and Fethullah Üzümcüoğlu, donated the savings from their families and spent their wedding dinner helping to feed 4,000 Syrian refugees. 7. Hailey Fort, nine years old, builds shelters and grows food for the homeless. 8. 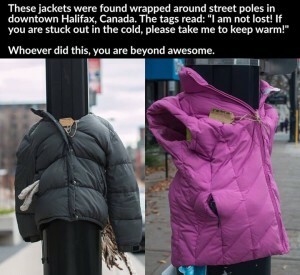 A group of young Canadian girls went on a mission to help the homeless stay warm this winter by dressing up lamp posts. 9. Brice Royer, battling stomach cancer, set off a chain of kindness. 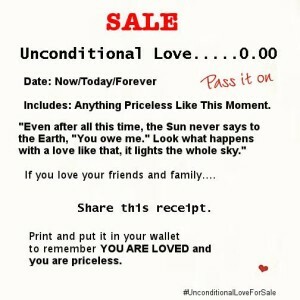 He posted a Craigslist ad for free “unconditional love” that went viral. Francesca Murray, living in a shelter with her daughter, saw the ad and offered to cook for Brice. When he found out Francesca was living at a shelter, Brice worked with Ruso Llanera to send a weekly delivery of organic food. When they learned she will have to leave the shelter, Brice and Rousseau then successfully raised enough money to surprise Francesca with a forthcoming “tiny home”! 10. Antoine Leiris’ wife Helene was killed in terrorist attacks in Paris. Watch his incredibly moving tribute – “I won’t give you the gift of hating you“.